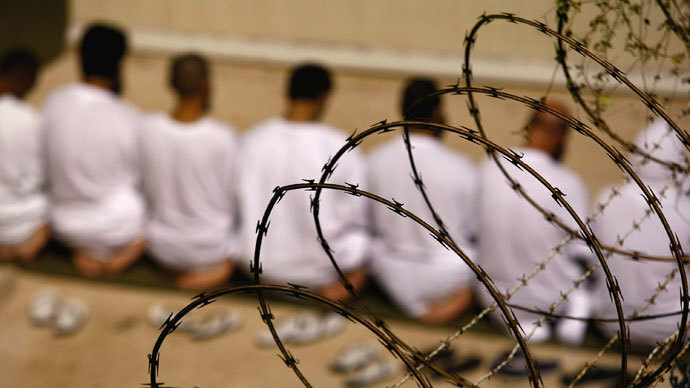 This will be the twelfth year for some inmates who are observing Ramadan at Guantanamo. However, this time the situation has been dramatically aggravated by the mandatory force-feeding. Refusing to suspend the practice during the central religious holiday, the US is hurting the feelings and religious beliefs of the Muslims, activists say. "Our position has always been that it’s wrong to force feed detainees, that’s the position of international legal experts, it’s the position of medical ethicists, it’s the position of every right-thinking person who doesn’t want to see detainees abused in this way, whether you do it in daylight hours or after sunset, wrong is wrong,” a spokesman of the largest US Muslim civil rights and advocacy group, the Council On American-Islamic Relations (CAIR) told RT. "What we’d like to see is for President Obama to fulfill his promise to shut down Guantanamo and deal with the issue of indefinite detention. You cannot have a situation where people are held basically for the rest of their lives without charge, without being convicted of a crime, it’s un-American and it’s against every international legal norm,” Ibrahim Hooper added. Last week a spokesperson for the American prison camp confirmed that the fast for Ramadan will be observed by synchronizing the force-feeding of Muslim inmates. Navy Capt. Robert Durand “reassured” that the facility is sufficiently equipped to synchronize the force-feeding of inmates to the Ramadan fast schedule. “We understand that observing the daytime fast and taking nothing by mouth or vein is an essential component of Muslim observance of Ramadan,” Durand stated. “And for those detainees on hunger strike we will ensure that our preservation of life through enteral feeding does not violate the tenets of their faith,” he said adding that those detainees not currently on hunger strike would have their meals scheduled accordingly. According to the Guantanamo spokesperson, the prison has already “laid in supplies of lamb, dates and honey and zamzam water” (water from a well in Mecca). 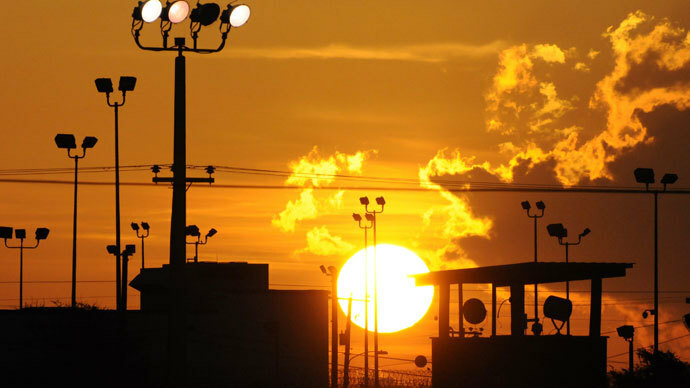 This year the fast at the US prison camp will begin at sunset on Monday, July 8 and end on Wednesday, August 7. "As Ramadan starts, this issue is becoming increasingly embarrassing for the US government; it's about time President Obama took a brave decision to end this in a way that would be appreciated around the Islamic world," an Islamic community leader in Britain, Dr Azzam Tamimi, told the Guardian. On July 1, lawyers representing four Guantanamo detainees filed a motion with the US district court in Washington, DC to end the force-feeding, arguing it was unethical and prevented their clients from practicing their religion. Affidavits by those prisoners stated that they understood the dangers of hunger striking, and did so voluntarily in protest of their continued incarceration. 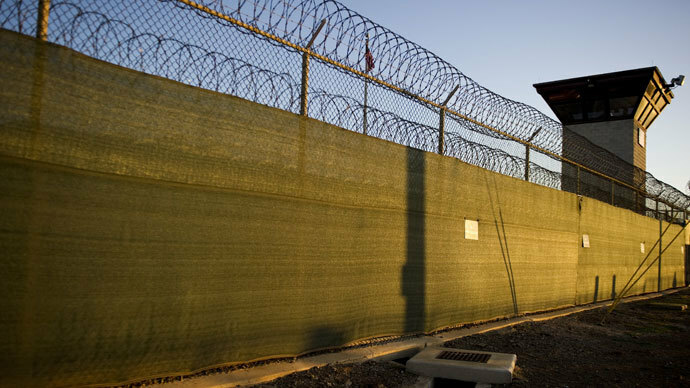 According to the prison authorities, 166 detainees are still in Guantanamo, of whom 106 are on hunger strike, of which 45 are “on the enteral feed list”, meaning they are force-fed through tubes. In May this year, documentation leaked to the media showed that "a mask is placed over the detainee's mouth to prevent spitting and biting" during the force-feeding procedure that sees prisoners sit shackled in a restraint chair for two hours. The United Nations human rights office slammed the practice, saying it amounts to “cruel, inhuman and degrading treatment” and therefore is in breach of the UN Convention on Human Rights to which the US is a signatory. Amnesty International also called for the practice to be stopped and argued that the only answer was to close the prison permanently, release those who have been cleared, and charge those who the US military has a case against. “The only reason why people are carrying out this hunger strike is because they feel desperate; they feel nothing will ever change for them. You have to give them some hope somehow that they’re situation is going to change, otherwise what do you have left?” Hopper said. In June, a group of Boston-based medical ethicists urged the Navy doctors carrying out the force feeding to mutiny against the practice, and called on civilian doctors to support them. On June 19, over 150 doctors and medical professionals signed an open letter to President Obama calling for the hunger strikers to receive independent medical care. One of them, a psychiatrist and consultant for Human Rights Watch Terry Kupers warned that if the hunger strike continues, the damage will be irreparable. The hunger strike began in February after guards allegedly interfered with the inmates personal belongings, including the mishandling of Korans. 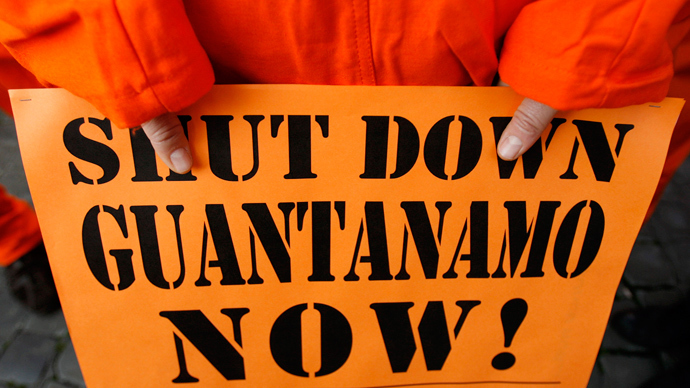 President Obama promised to close Guantanamo as part of his election campaign in 2008. In his speech in front of Berlin's Brandenburg Gate on June 19 he suggested "redoubling our efforts to close the prison at Guantanamo."